Halloween has come and gone which means most families are now fixated on the FESTIVE season! While you’re dreaming of sunshine, why not consider a warm, winter getaway to one of the most-loved destinations – Orlando. Orlando is easily one of our most favourite family destinations because there’s something for everyone (even for those who don’t have children). If you’re looking for fine dining: check! Five-star hotel amenities: check! Family-friendly accommodations: check! The list goes on and on. It’s easily the most asked-about location when it comes to our social media community. Holidays at Walt Disney World Resort offers an array of joyous fun (Nov. 8, 2018 – Jan. 6, 2019), including the magical transformation of Cinderella Castle into a glistening ice palace and Mickey’s Very Merry Christmas Party. There’s also an exciting line-up of celebrity narrators at Epcot’s Candlelight Processional. Then, tour through the holiday wonderland at Disney Springs, which has a festive yet romantic vibe. Meanwhile, over at Universal Orlando Resort, you’ll find guests, wizards and elves galore (Nov. 17 – Jan. 6). They’ve got the Macy’s Holiday Parade as well, which is always a huge hit with people of all ages at Universal Studios. And, with all of the hype around the newly released “The Grinch” movie, families can enjoy some Christmas cheer as Grinchmas comes to life at Universal’s Islands of Adventure. Back this year, Universal also has The Wizarding World of Harry Potter transformed with wondrous, holiday spirit at both Universal Studios and Islands of Adventure. There’s no shortage of Butter Beer and fun! Finally, Legoland Florida is hosting their Christmas Bricktacular (select weekends Dec. 1-25). 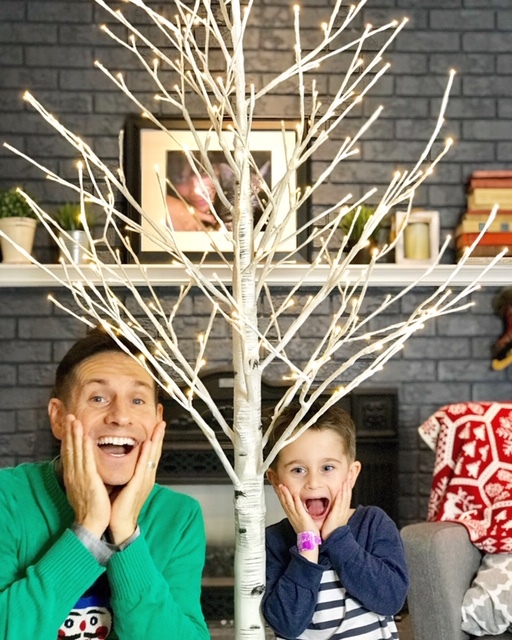 Families can block out some time to marvel at the more than 30-foot-tall LEGO Christmas tree – made with 270,000 LEGO and DUPLO bricks – and pose for a perfect holiday picture with a life-size LEGO Santa, reindeer and sleigh. We visited Legoland at Halloween and their themed exhibits are mind-blowing.